Okay, so I'm backtracking here:) I have lots of fun pictures to share from the past month and I've got to catch up! 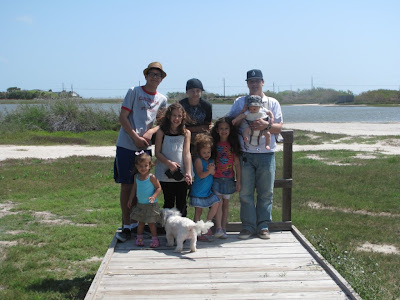 While we were in Corpus Christi last month, we spent an afternoon with Joey's sisters family just chillin out. 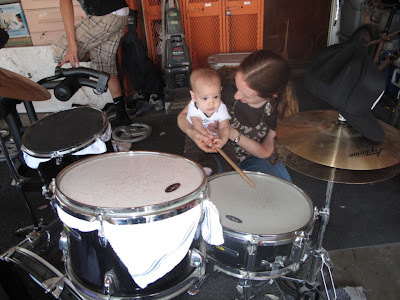 The kids played in their big backyard, drank lemonade on that warm spring day, and Ammon even played the drums! 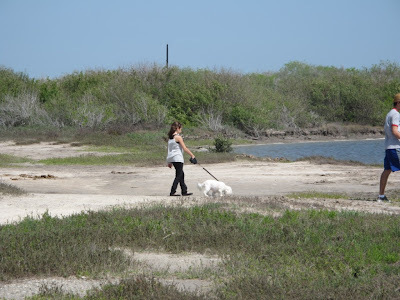 We also went on a walk just down the street, through the forest and to the Laguna Madre(I feel like I'm map giving directions on Dora the Explorer-ha!). 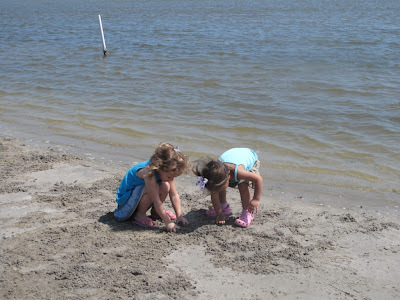 The kids LOVED it, especially getting to spend time with their cousins, Don, Kai & Shelby. The girls. Cali's pose is truly priceless. Don playing us some tunes on the gee-tar. 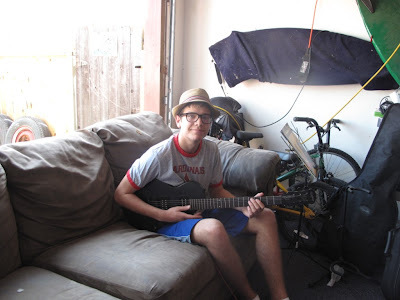 Hes awesome! 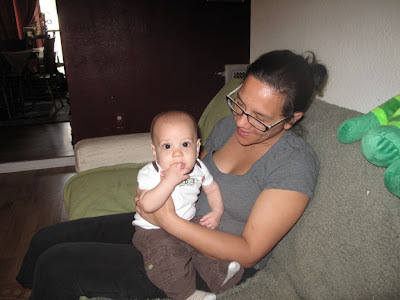 Ammon spending time with Auntie Nikki. 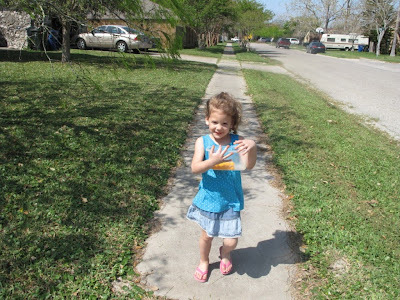 Cali was the cheese ball holder(or eater I should say:) on our walk and was happy to do it. 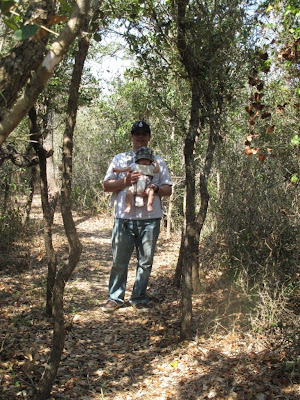 Daddy and Ammon in the "forest" :) So Corpus Christi doesn't have real forests, but thats what we South Texans call it. Actually when I was a kid, we called areas like this "The Trails." Basically they are a bunch of ugly trees with thorns that someone paved paths through with their bare feet, Bluff style:) Fun to run around through! 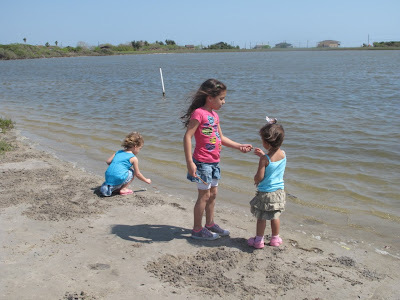 Throwing rocks and exploring the waters edge. Aubrey walked Leilani. She loved doing it and Leilani loved the walk. Shes Joey's parents dog that the Youngbergs were watching while they were out of town. The little girls shell searching. Looks like a lot of fun! I love Cali's pose! Thanks for posting these pictures. I had heard a lot about the day and it sounded like soooo much fun. I'm glad to see the pics and especially that classy Cali girl. I'm especially happy to that the cousins are able to visit and enjoy each others company times they will always remember for sure. Thanks for taking Leilani on the walk too I know she loved it for sure. Love all my grand chillins. That was a really fun day. I think the girls will always remember that visit. So many fun things to do. What a fun family visit. I love Cali's poise too. So cute. Thanks again dear for your prayers and support. They mean so much to me. I know that is what is getting me through this. Just caught up on your blog! 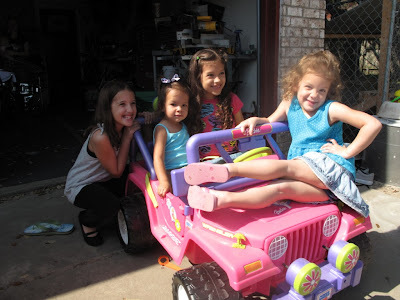 Your girls are getting so grown up and as beautiful as ever. And that boy. Oh my goodness. I am sure he is the center of the love! Smooches for all those kiddos! I am so bad at rock throwing. You guys will have to give me some tips.